Husband, father and grandfather, student of business and life, Jogger, Skier, Art Collector, and Ball Room Dancer – More recently he is exploring Social Media and its impact on Business and the world at large. His Social media days are early and the struggle is documented regularly in his Blog – Discipline is the challenge! Ben Kehoe works with organisations to challenge and guide them to reach their potential… ..he invites them consider their current position, and to develop strategies to achieve greatness. Working with the Chairman, CEO, Boards and leadership teams, he focuses on the core questions an organisation must answer to address their potential with integrity and become ‘great’. Holding them to account and addressing real issues (blockages) that stand in the way is a characteristic of his work. In a career spanning three decades, Ben has been instrumental in enabling organisations to grow, create new markets, topple big players, secure competitive advantage, manage high growth, and boost profitability. He focuses businesses on delivering to customers to make a difference. He challenges businesses out of complacency; he helps them to create images of the future and to forge a compelling and meaningful strategic directions; and he confronts them with the concept that while profit is a worthy business goal – it is not “why the business exists? It is just one measure of success! While sometimes unconventional, many success stories in Australian business have proven his approach extremely powerful. He’s challenged leadership groups to ask ‘Why are we doing this?’ and helped find the answers that would ultimately lead to creating a high-performing business with strong foundations – the focus being growth and prosperity. A strategy session with Ben can change the way you think about business and enable you to see your organisation in a completely different light… perhaps for the first time, or just for the first time in a long time. This in turn reveals exciting opportunities and the ability to realise latent potential. Ben believes that many businesses today settle for a “comfortable ride”, focusing their attention and energy on the more operational areas of the business that will not, and cannot, provide them with the results they want. While many businesses work hard on metrics, Ben’s clients achieve their metrics by working hard on creating meaning, purpose and real value in their organisation. ‘When the core elements are addressed, the rest takes care of itself’, he says. With an intimate understanding of the dynamics of change at a national, business and community level, Ben believes that each business, each group and each individual already has the solutions to their problems, now and in the future… It only needs to be revealed! In the period 1997 – 2006 his roles with Australian and Queensland Rugby Union (1997-2006) and his role as the Owner/Director of Gallery G Art Gallery (2003-2007) extended his experience base and provided a broader insight into the challenges facing today’s business leaders. 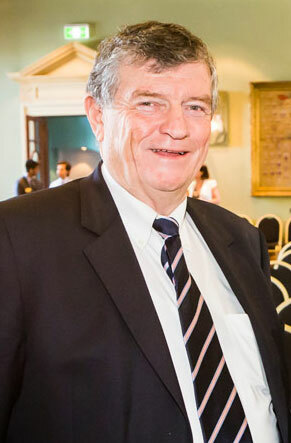 In recent years he has worked with Queensland SME’s in an Advisory Board capacity and currently works with a small number of privately owned businesses. In 2013 he has joined the UQ Diamantina Institute Development Board and looks forward to contributing to one of Queensland’s amazing business opportunities. Ben has been married to Sally for 37 years, has 4 adult children and an emerging multitude of grandchildren. Since Ben turned 50, he has challenged himself in multiple arenas: he has run 23 half marathons, he skis approx. 20 days each year and his recent learning journey is focussed on becoming a competent ballroom dancer! In his spare time Ben is passionate about his family, reading business literature and collecting Australian art.